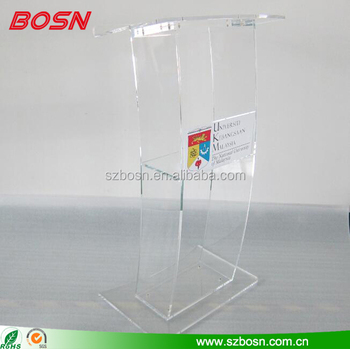 Stand has (1) shelf for holding small items such as water, tissues, or notes. Display takes little time to assemble and all tools and hardware are included. 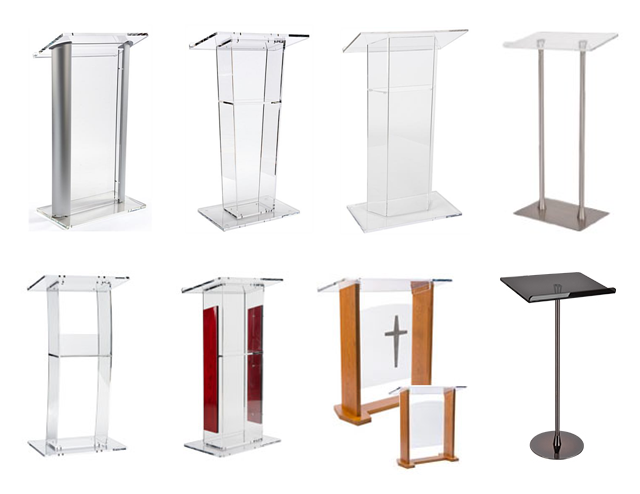 Lectern has a large reading surface for presentation notes. The rostrum comes with a cleaning cloth for quickly removing fingerprints or dust. The curved design of this stand gives the display an architectural appeal. 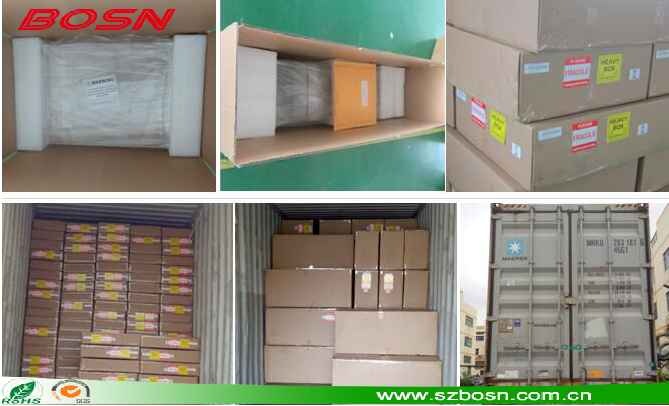 For more information, Please send an inquiry to us!